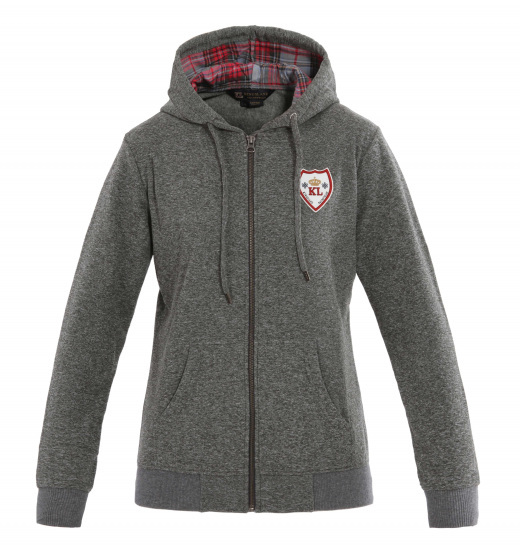 Livingston fleece hooded sweatshirt, zippered. 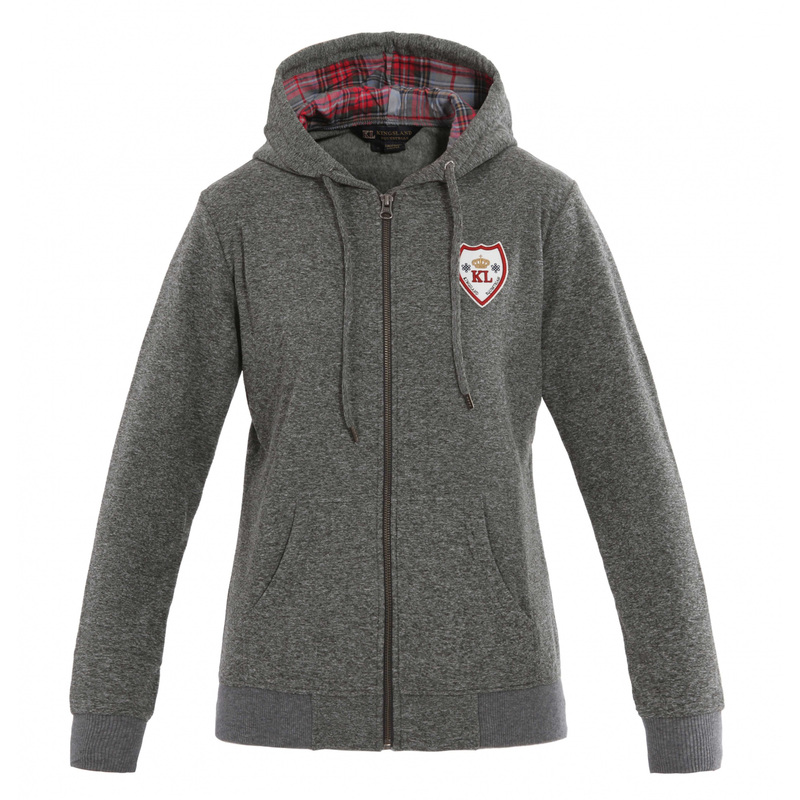 The hood has a interesting contrast checkered lining. On the left chest there is a KINGSLAND stripe.